For those of you who missed my interview on afraid to lift weights because I will look like a man on GoodHope FM on Monday I’ve decided to summarize the important topics we discussed on air. I wish I could take calls on the show lol but I’m afraid we are pressed for time so please post in the COMMENTS section what you would like to hear more from and I will help clear up some confusion regarding women’s fitness, weight-loss and overall health. As women we literally don’t have enough testosterone to build muscle like men do. Yes some women have greater potential than others to gain muscle and yes genetics does play an important role as to how you naturally look and how your body will adapt to stimuli. Some women have higher levels of estrogen than others which directly effects your fat % and your ability to get leaner and have that “hard” look. And yes, you can manipulate your testosterone levels with a specific diet. But what about those women in those competitions and magazines? 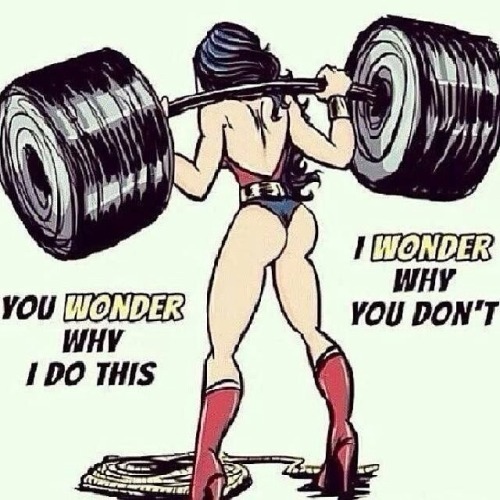 Realistically regular women don’t look like that and by lifting weights on a regular basis wont change that. The fitness models (bodybuilders) and competitors you see in the magazines and on stage are on specific diets and may very well be taking hormone altering drugs, inhibiting certain hormones and enhancing others. Most women have to lift and do cardio most days of the week for months on end to look like that. Keep in mind that form follows function and your body will be an aesthetic representation of what you physically put it through and what you feed it. See Crossfit Athletes, Tennis Players, Swimmers and Ballerinas. They all have specific builds. What about the average Jane? The average Jane can use weights to maintain weight, gain weight and lose weight. Lifting weights is a versatile tool and you can decide how you would like to use it to increase your quality of life, depending on your goals and your current physique situation. Always make sure you make an educated approach and get the help and guidance you need by a qualified professional. In my personal opinion it is crucial that women work on improving their strengths. If you look at Cavewoman Jane she needed the necessary strength to protect her children and herself. In a state of urgency she was strong and fit enough to protect herself. They’re are so many modern Jane’s unable to even hold their bodyweight up let alone their shopping bags and laptop bags. Your body fat percentage shouldn’t be the only thing stopping you from getting blown away from the South Easter. Also imagine changing your metabolic makeup just by lifting weights? Adding muscle means you burn more calories, it also means you have more personal power to move your body as fast and hard if ever you found yourself in a state of urgency. Please consult a professional before lifting heavy objects or undertaking a rigorous training schedule.